I am borderline obsessive when it comes to jeans. Whenever I’m shopping in a store, I always make a beeline to the denim department first. Honestly, few things make me happier than a great-fitting pair of jeans. Gap to the rescue! I came across their new "summer flag Jean" online a few weeks back and decided to give them a try. I actually purchased a regular and petite length because I really wanted to recreate the cropped silhouette of my rag & bones. Turns out, the Petite length hits at just the right place above the ankle (I’m 5’4 for reference) and the fit is perfect. So much so, that after I figured out the sizing I purchased the white pair and the Lighter dim pairs. I’ll be wearing these babies all spring and summer! 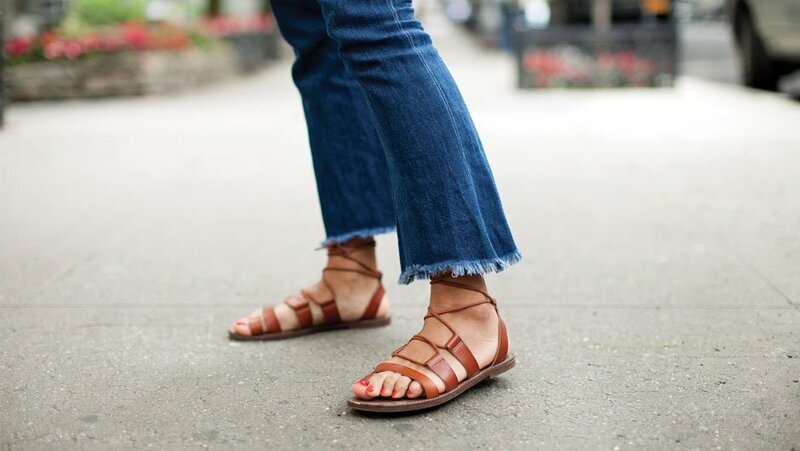 If you’re on the fence about the cropped flare trend, I 100% recommend you experiment with these. Judging by some of the comments on gap.com, they don’t work on everyone, but if you’re looking for a true crop flare they’re definitely worth a shot. I couldn’t be happier with the three I own. I love them, but I absolutely could not justify spending $200 on another pair.